Tap into one of the sweetest events of the year, New York State’s Maple Weekend. The event takes place March 18-19 and March 25-26, from 10am- 4pm each day. During both weekends, producers from across the state will welcome families to their farms to experience firsthand how real, mouthwatering maple syrup and other related maple products are made. Visitors will have the opportunity to enjoy fun, family-friendly activities, taste New York’s freshest syrup, and purchase maple products directly from the source. Each year, New York ranks as one of the top maple producing states in the U.S. As spring temperatures begin to rise in late February and early March, maple trees and sugar bushes come alive with activity. In Northern New York, when sap begins to drip through sugaring lines, it&apos;s a sure sign that maple season has begun. 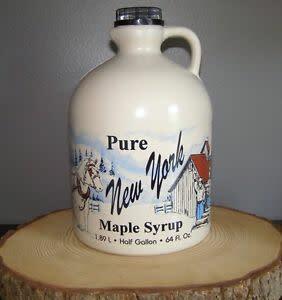 Visitors will have the opportunity to enjoy fun, family-friendly activities, taste New York’s freshest syrup, and purchase maple products directly from the source.